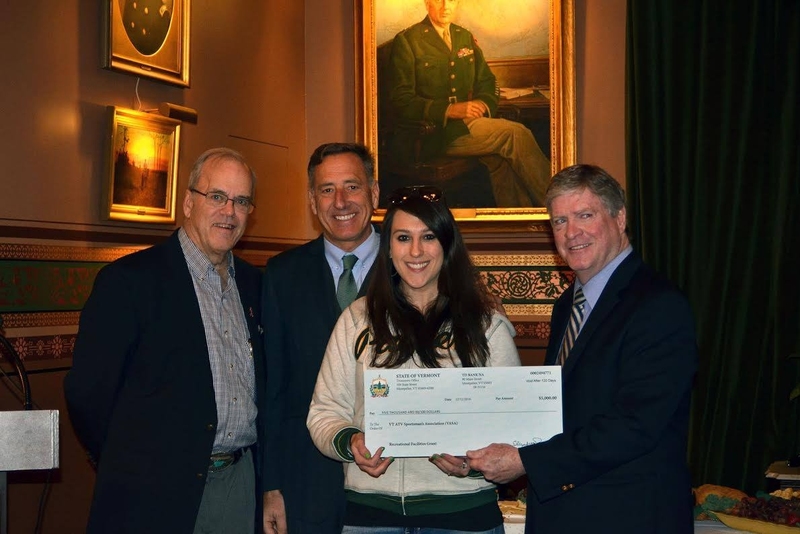 This is Operations Director Dani Luce accepting a giant check from Governor Peter Shumlin at the State of Vermont Buildings & General Services Grant Award Ceremony. VASA wrote a grant to repair and maintain our trail head kiosks and provide updated educational material for each kiosk. We are very proud to receive the award and can't wait to get started on this project.